Last updated 21 January 2019 . By Claire Tucker. Aktar Islam is empire building. A mere five months after the launch of Opheem, he is back, this time with Italian-inspired fine dining restaurant Legna, and we were lucky enough to be invited to their opening week to try out their new menu. The space is a sultry affair, with a sleek bar leading through to a dining room that juxtaposes nature with a more contemporary design. Indeed, this matches the style of food, which pays homage to Aktar's ingredient led, and often-simplistic approach to cuisine, whilst still daring to modernise elements and smooth out the rougher edges. The interiors at Legna bring together the natural and archaic with the new and contemporary. 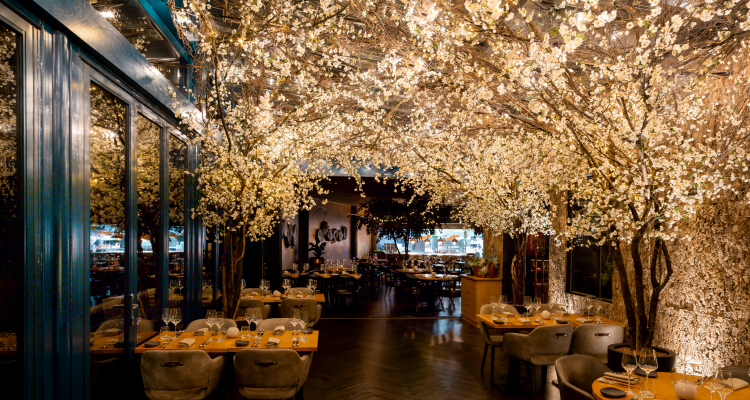 At its very best, Legna already stands-up to the city’s most renowned eateries. 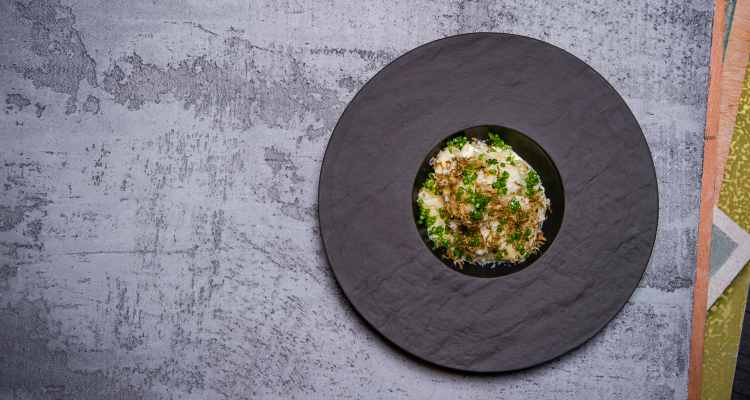 A nibble of parmesan cake with black garlic and truffle delivers huge flavour, whilst a dish of burrata and tomato (£8.95) is a more subdued affair that puts real finesse and quality ingredients at its core. The highlight of our dinner was without doubt a beef and wild boar ragù (£7.95), which uses shin, cheek and bone marrow to create a bold flavour combination. The pappardelle underneath is thin as its gets, cooked to a perfect bite. From there we get spheres of white chocolate filled with espresso martini that explode in the mouth, and leave on the perfect slice of lemon tart (£7). Conventional it is not, outstanding is absolutely is. Dishes at Aktar Islam's latest restaurant bring a modern twist to traditional Italian flavours. Wine is an all-Italian list of zesty whites and hard-hitting reds, with the front-of-house team diligently topping-up glasses and explaining dishes with the confidence you may expect from a restaurant many years older than the second week in which we visit. We suggest you opt for the tasting menu, dive into the wine list and head to the bar afterwards to finish the evening off with the best Negroni in town. Legna is an homage to the best of Italian cuisine seen through the eyes of a chef that pushes boundaries every day. Aktar has done it again; this restaurant is destined to become a jewel in Birmingham’s glistening crown.